Here is the list of the hotels near Felluns. Book your hotel near Felluns today, Friday 10 May for the best price, reservation and cancellation free of charge thanks to our partner Booking.com, leader in on-line hotels reservation. Below here is the list the 50 closest hotels of Felluns, sortable according your criteria. You will find the position of these accommodations on the Felluns hotels map. Guest accommodation Felluns Preferred hotel ! With mountain views, Pyrénées Mon Amour has accommodation with a kitchen set in Felluns. Free WiFi is provided. Fitted with a terrace, the units feature a flat-screen TV and a private bathroom with shower and a hair dryer. A dishwasher, an oven and microwave are also offered, as well as a coffee machine. The holiday home offers a barbecue. If you would like to discover the area, fishing is possible in the surroundings. The nearest airport is Perpignan - Rivesaltes Airport, 44 km from Pyrénées mon amour. Featuring free WiFi and a sun terrace, Mas Les Ambrosis offers accommodation in Saint-Paul-de-Fenouillet. Free private parking is available on site. For your comfort, you will find free toiletries and a hairdryer in the guest rooms. A breakfast menu is available every morning for an additional charge. Guests can relax in the shared lounge area, which has a coffee machine. Carcassonne is 47 km from Mas Les Ambrosis, while Perpignan is 37 km from the property. The nearest airport is Perpignan - Rivesaltes Airport, 33 km from Mas Les Ambrosis. Offering an outdoor swimming pool, free Wi-Fi and a restaurant, Logis Le Chatelet is set between the foothills of the Corbières and the Pyrénées. Featuring views of the garden or the river, the soundproofed guest rooms include a private bathroom with shower and free toiletries. All are equipped with a flat-screen TV, a telephone and a work desk. Start the day with the filling buffet breakfast before exploring the area. Discover the famous Côtes du Roussillon vineyards or the ancient Cathar castles which dominate the region. Le Chatelet boasts a restaurant where you can enjoy regional cuisine. This is served in the dining room with a view over the landscaped gardens and the River Boulzane. Free and private parking is available on site. Offering free WiFi and mountain views, The Loft is an accommodation set in Fosse. Guests staying at this apartment have access to a fully equipped kitchen and a terrace. The apartment is fitted with a satellite flat-screen TV. The accommodation also has 1 bathroom with a shower. The nearest airport is Perpignan - Rivesaltes Airport, 49 km from the apartment. Situated in Sournia in the Languedoc-Roussillon Region, Le grenier de l'Horte is a homestay located 48 km from Perpignan. The unit is 1h30 drive from Font-Romeu Ski Resort. The garden is a 1-minute walk from the house. Free WiFi is available throughout the property. The room with a bedroom on the mezzanine is set on the 3rd and top floor of the house. Guests have access to the bathroom and toilets on the ground floor, shared with the owner. The room has a curtain across the doorway. Guests have access to shared lounge and kitchen. An oven, a microwave and a toaster can be found in the kitchen. Ax-les-Thermes is 90 km from Le grenier de l'Horte. You can engage in various activities, such as horse riding, cycling and hiking. Perpignan - Rivesaltes Airport is 50 km away. Set in Sournia in the Languedoc-Roussillon region, Miyako has a terrace and mountain views. The property was built in 2009 and features accommodation with a patio. The holiday home consists of 2 separate bedrooms, 1 bathroom with free toiletries, and a seating area. A flat-screen TV and Blu-ray player are offered. The holiday home offers a barbecue. Guests can also relax in the garden. Perpignan is 48 km from Miyako. The nearest airport is Perpignan - Rivesaltes Airport, 51 km from the accommodation. Set in a 10-hectare park with a lake, this residence features a swimming pool and offers sports facilities including badminton and pétanque. The Pyrenees Catalan Regional Natural Park is 17 km away. Cable TV, a furnished terrace and a private bathroom feature in the apartments and guest rooms. The apartments also offer lake views. The cottage is set in the former mill and features an original open fire. Traditional French cuisine is served in the seasonal restaurant and you can enjoy a drink in the bar at Le Moulin de Sournia residence. A buffet breakfast is prepared every morning. Free Wi-Fi is available in public areas and on-site activities include billiards, tennis and horse riding. Themed evenings take place during summer. Hiking is possible directly from the village. Private parking is free on site and Perpignan is a 45-minute drive from the residence. The Spanish border is a 1-hour drive away. Featuring barbecue facilities and free WiFi, Maison d'hôtes Le Galamus offers accommodation in Saint-Paul-de-Fenouillet. There is a water park on site and guests can enjoy the on-site bar. Each unit has a fully equipped kitchen with a dishwasher, oven, microwave, toaster, fridge and stovetop. A continental breakfast can be enjoyed at the property. The country house offers a terrace. Guests at this property can enjoy skiing nearby, or make the most of the garden. Perpignan is 43 km from Maison d'hôtes Le Galamus. The nearest airport is Perpignan - Rivesaltes Airport, 36 km from the property. With mountain views, Mairie de VIRA is located in Vira and has accommodation with a kitchen. Some units have a dining area and/or a terrace. Perpignan - Rivesaltes Airport is 51 km away. Domaine de Coussères is situated in Saint-Paul-de-Fenouillet. The property features a restaurant. The units at Domaine de Coussères are equipped with a seating area. Featuring a private bathroom, rooms at Domaine de Coussères also provide guests with free WiFi, while some rooms will provide you with a mountain view. Guest rooms include a wardrobe. A continental or buffet breakfast is available daily at the property. Domaine de Coussères offers a sun terrace. Carcassonne is 45 km from Domaine de Coussères. The nearest airport is Perpignan - Rivesaltes Airport, 35 km from the property. Gîte Les Mimosas is located in Prugnanes. Free WiFi access is available in this holiday home. The accommodation will provide you with a seating area with a flat-screen TV and DVD player. There is a fully equipped kitchen with a dishwasher and a microwave. The private bathroom has a shower and hairdryer. At Les Mimosas you will find shared BBQ facilities. An array of activities can be enjoyed on site or in the surroundings, including cycling, fishing, hiking, via terrata and water sports. There is a shared playground across from this holiday home. This holiday home is 37 km from Perpignan - Rivesaltes Airport. The property offers free parking. Situated in Caudiès-de-Fenouillèdes, Domaine de Castel Fizel offers accommodation with an outdoor pool. Complimentary WiFi is available. All units include a fully equipped kitchenette, allowing guests to prepare their own meals. Some units have a dining area and/or a terrace. Guests at the holiday park can enjoy a continental breakfast. Guests can enjoy a meal at the on-site restaurant, which specialises in French cuisine. Domaine de Castel Fizel offers a barbecue. Cycling and hiking can be enjoyed nearby. Perpignan - Rivesaltes Airport is 45 km from the property. Casa Metternich is located in Fenouillet and offers water sports facilities. This villa has a garden. The villa includes 2 bedrooms, a kitchen with an oven and a microwave, as well as a coffee machine. The villa offers a barbecue. If you would like to discover the area, skiing is possible in the surroundings. Perpignan - Rivesaltes Airport is 53 km from the property. Offering a sun terrace and views of the sea, Au Chevrefeuille Maison d'hotes is located in Montalba-le-Château, a 13-minute drive from Ille-sur-Têt and 34 km from Perpignan. Some units feature a seating area to relax in after a busy day. Au Chevrefeuille Maison d'hotes features free WiFi throughout the property. Evening meals can be served upon prior reservation. There is a shared lounge at the property. The area is popular for skiing and horse riding. The guest house also offers free use of bicycles. Font-Romeu is 63 km from Au Chevrefeuille Maison d'hotes, while Collioure is 56 km from the property. The nearest airport is Perpignan - Rivesaltes Airport, 36 km from Au Chevrefeuille Maison d'hotes. Featuring free WiFi and a barbecue, Relais de Laval offers pet-friendly accommodation in Caudiès-de-Fenouillèdes, 45 km from Carcassonne. Guests can enjoy the on-site restaurant. Free private parking is available on site. Some rooms include a seating area where you can relax and a flat-screen TV. Rooms come with a private bathroom. You will find a 24-hour front desk at the property. Guests can enjoy various activities in the surroundings, including skiing and cycling. Perpignan is 44 km from Relais de Laval, while Font-Romeu is 44 km from the property. The nearest airport is Perpignan - Rivesaltes Airport, 41 km from Relais de Laval. La maison du Pountet is situated in Caudiès-de-Fenouillèdes. Guests may enjoy free WiFi. The apartment features a flat-screen TV and a living room. The accommodation is equipped with a kitchen with an oven and a microwave. Perpignan - Rivesaltes Airport is 47 km away. Guest accommodation Maury Preferred hotel ! Appartement Maury is located in Maury and offers a garden and a terrace. The property features mountain and garden views. The holiday home includes 2 bedrooms and a kitchen with a dishwasher and an oven. The air-conditioned holiday home also features a flat-screen TV, a seating area, and 1 bathroom with a shower. Fishing can be enjoyed nearby. Perpignan is 35 km from the holiday home. The nearest airport is Perpignan - Rivesaltes Airport, 28 km from the property. Located in Caudiès-de-Fenouillèdes in the Languedoc-Roussillon region, Gîte les Hirondelles features a terrace and city views. This holiday home features barbecue facilities. The holiday home has 4 bedrooms and a fully fitted kitchen with a dishwasher. A flat-screen TV is provided. Guests can also relax in the shared lounge area. The nearest airport is Perpignan - Rivesaltes Airport, 47 km from the property. Boasting accommodation with a terrace, Maison Panoramique is situated in Fenouillet. This villa features a garden and barbecue facilities. With free WiFi, this villa provides a TV and a kitchen with a dishwasher and oven. Skiing is possible within the area and the villa offers water sports facilities. The nearest airport is Perpignan - Rivesaltes Airport, 47 km from Maison Panoramique. Accueil au Village offers accommodation in Cubières-sur-Cinoble. It is a 30-minute drive from Peyrepertuse Castle and a 35-minute drive from Queribus Castle. Rooms are equipped with a private bathroom equipped with a shower. Extras include free toiletries and a hairdryer. Homemade dinner is available upon prior request. A number of activities are offered in the area, such as horse riding and cycling. The Galamus Gorge is 4.6 km away and guests can enjoy canyoning or swimming in the Agly River. Carcassonne is 70 km from Accueil au Village, while Perpignan is 52 km from the property. The nearest airport is Perpignan - Rivesaltes Airport, 45 km from Accueil au Village. Offering free WiFi and sea views, Chez Pierre is an accommodation situated in Bélesta. Guests staying at this holiday home have access to a fully equipped kitchen. The holiday home comes with a flat-screen TV, 1 bedroom and a living room. The holiday home offers a terrace. Hiking can be enjoyed nearby. Perpignan is 34 km from Chez Pierre. The nearest airport is Perpignan - Rivesaltes Airport, 32 km from the accommodation. Hotel Bélesta Preferred hotel ! Riberach is located in the picturesque village of Bélesta near the Spanish border. This unique hotel is housed in a former wine cooperative, with rooms and suites above the old wine vats. It also features a 60-m² spa with a hammam, sauna and massage room. The rooms have been uniquely decorated in a contemporary, Mediterranean style. Each en suite room is equipped with a minibar, flat-screen TV and a safe. They offer stunning views of the hillside and vineyards. The hotel's restaurant La Coopérative* du Domaine Riberach has a Michelin star and is set in the heart of the former wine cave. It serves seasonal Mediterranean cuisine. Hotel Riberach also features a swimming pool, private garden, and a large shaded terrace where guests can relax. Guests have access to a number of activities in the area including wine tastings, hiking and visiting nearby vineyards, museums and pottery kilns. The hotel is ideally located at the foot of the medieval Bélesta Castle. La Claouzo is situated in Duilhac, 3.7 km from Peyrepertuse Castle, and a garden and a terrace are accessible on-site. This bed and breakfast also has free WiFi. Guests at the bed and breakfast can enjoy a continental breakfast. Cycling and hiking can be enjoyed nearby. The nearest airport is Perpignan - Rivesaltes Airport, 40 km from the property. Situated in Duilhac in the Languedoc-Roussillon region, Etape Cathare features a terrace and mountain views. Featuring pool views, this holiday home also has free WiFi. The holiday home includes 3 bedrooms and a kitchen with a dishwasher and a coffee machine. A flat-screen TV is provided. Peyrepertuse Castle is 3.5 km from the holiday home. The nearest airport is Perpignan - Rivesaltes Airport, 40 km from the property. The family-run Hostellerie du Grand Duc is located on the edge of the Boucheville Forest, in the heart of Cathar country. The hostellerie offers free Wi-Fi internet access and private parking. The Hostellerie du Grand Duc has a gourmet restaurant, which uses local products and offers a selection of regional wines. A buffet breakfast is also served, which can be taken in the breakfast room, the guest-rooms or on the terrace near the pond. All the individually-themed rooms include a TV and a safe. Guests can enjoy many activities nearby, including white-water sports, horse-riding and hiking. Gite d'Etape Communal de Duilhac sous Peyrepertuse is located in Duilhac, a 15-minute walk from Peyrepertuse Castle. The property offers accommodation in a mixed dormitory room with a wardrobe. A shared bathroom is available. Guests can take part in various activities in the surroundings, including cycling and hiking. There is a children's playground in the village. Perpignan - Rivesaltes Airport is 28 km away. Located in the heart of the Cathar Country, in the Languedoc-Roussillon region, the Hostellerie du Vieux Moulin is set at the foot of Peyrepertuse Castle. This small countryside hotel offers comfortable rooms with authentic decor. Guests can eat on the terrace at the Restaurant du Moulin, which is open from Tuesday to Sunday and offers à la carte menus. Free Wi-Fi access is available in the entire property. The Hostellerie du Vieux Moulin is near the Quéribus Castle and the picturesque village of Cucugnan. It is also only a 1-hour drive from the Spanish border. Holiday home Bouchard is located in Camps-sur-lʼAgly. Complimentary WiFi is available. The holiday home includes 3 bedrooms and a kitchen with a dishwasher and an oven. A TV with satellite channels is offered. The holiday home offers a barbecue. Limoux is 49 km from Holiday home Bouchard. The nearest airport is Perpignan - Rivesaltes Airport, 49 km from the accommodation. Located in Vinça, Holiday home Vinca 97 with Outdoor Swimmingpool provides accommodation with a private pool. The accommodation is 36 km from Perpignan. The property includes a living room with a TV. The kitchen features a dishwasher, a microwave and a fridge, as well as coffee machine. The holiday home offers an outdoor pool. The nearest airport is Perpignan - Rivesaltes Airport, 40 km from Holiday home Vinca 97 with Outdoor Swimmingpool. Les Santolines offers accommodation in Cucugnan. The property is set 3.5 km from Queribus Castle. Free WiFi is featured. At the guest house, rooms come with a balcony. Featuring a private bathroom, rooms at Les Santolines also boast a mountain view. The rooms have a wardrobe. A continental breakfast is served each morning at the property. The nearest airport is Perpignan - Rivesaltes Airport, 36 km from the property. Located in Cucugnan, Maison d’hôte la Tourette is eco-friendly and offers an open patio with a hot tub, a library with a table to play cards and century old olive trees. Queribus Castle is only 4 km away. Decorated in an elegant style, all rooms are air-conditioned and feature a seating area, wardrobe and tea and coffee making facilities. The en suite bathroom includes a hairdryer and free toiletries. An organic breakfast with a choice of natural produce is available each morning for an extra charge. Guests can also opt for an English breakfast upon request. Peyrepertuse Castle is 5 km away and the Glamus Valleys are a 30-minute drive from the property. Free Wi-Fi access is available throughout and free private parking is possible on site. Auberge du Vigneron is a century old, former wine storehouse located in the Languedoc-Roussillon region. It offers guest rooms with original stone walls, and a terrace overlooking the valley. Each guest room at the Logis Auberge du Vigneron is individually decorated and equipped with a television and telephone. A continental breakfast is served every morning. The inn restaurant serves regional French cuisine. With free public parking on site, the Auberge du Vigneron is ideally located for visiting the castles in Cathares. This guesthouse is situated in the medieval village of Cucugnan, in the Aude region. Surrounded by castles, it boasts panoramic views of the Pyrenees Mountains from its garden and terrace. All the rooms at Auberge De Cucugnan have floor-to-ceiling windows, which offer plenty of natural light. They are equipped with free Wi-Fi access, TV and private bathroom. Guests can relax in the floral garden with views of the Cathar Castles, Queribus and Peyrepertuse. Every morning a continental breakfast is served and the Auberge De Cucugnan restaurant serves regional cuisine. Hiking and cycling is the ideal way to explore the region. Tuchan is a 15-minute drive away and Montgaillard is just 20 minutes away. Free private parking is available nearby. Located in Cucugnan, just 3.8 km from Queribus Castle, Apartment the Haven features accommodation with free WiFi. The property was built in 19th century and has air-conditioned accommodation with a terrace. The apartment consists of 1 bathroom and a living room. The kitchenette features an oven, a toaster and a fridge and there is bath with free toiletries and a hair dryer. Perpignan - Rivesaltes Airport is 36 km from the property. Located in Ille-sur-Têt, Gîte des Orgues de la Sybille offers a seasonal outdoor swimming pool, a garden and a barbecue. Free WiFi is available. The holiday home includes 3 bedrooms, a kitchen with a dishwasher and an oven, as well as a coffee machine. A flat-screen TV is offered. The holiday home offers a terrace. If you would like to discover the area, skiing, cycling and hiking are possible in the surroundings. Perpignan is 29 km from Gîte des Orgues de la Sybille. The nearest airport is Perpignan - Rivesaltes Airport, 32 km from the accommodation. Situated in Ille-sur-Têt, Gîte des Orgues de la Sybille Canigou provides a private pool and free WiFi. With sea views, this accommodation features a terrace and a swimming pool. The holiday home is equipped with 3 separate bedrooms and includes a kitchen with a dishwasher and a dining area. A flat-screen TV with satellite channels is offered. Staff at the reception can help guests with any questions that they might have. The holiday home offers a barbecue. Guests can relax in the garden at the property. Perpignan is 29 km from Gîte des Orgues de la Sybille Canigou. The nearest airport is Perpignan - Rivesaltes Airport, 32 km from the property. Bed and Breakfast Latour-de-France Preferred hotel ! Set in the fortified village of Latour-de-France, L'Art de Vivre offers colourful rooms, free Wi-Fi access, a continental breakfast, and free public parking is possible nearby. The room and suite at L'Art de Vivre feature en suite facilities with free toiletries and a bath or a shower. They also have an electric kettle and a balcony or terrace. The continental breakfast is served daily and includes orange juice, homemade yogurts and jams, pastries and bread. The Cathar castles are 18 km from L'Art de Vivre, and Perpignan Train Station is 25 km away. Maison De Vacances - Latour De France is set in Latour-de-France and offers barbecue facilities. Guests staying at this holiday home have access to a fully equipped kitchen. This holiday home will provide guests with 3 bedrooms, a TV, air conditioning and a DVD player. The holiday home offers a terrace. Perpignan is 29 km from Maison De Vacances - Latour De France. Perpignan - Rivesaltes Airport is 22 km away. Chambres d'hôtes le Rampaillou is a 2-minute walk from the centre of Cucugnan and offers B&B accommodation with en suite and views of the Verdouble Valley. Free Wi-Fi access in common areas and free parking are provided. Breakfast is offered every morning at Chambres d'hôtes le Rampaillou. You can eat on the shaded terrace during warmer months. Queribus Castle is 4 km from Chambres d'hôtes le Rampaillou. Perpignan is 45 km away and is 65 km from Narbonne. Les Casots de Traoucalières is located 8 km from Cucugnan and 4 km from Peyrepertuse Castle. It offers self-catering chalets in the country side with views of the castle, an outdoor swimming pool, BBQ facilities and a library. The chalets at Les Casots de Traoucalières feature individually decorated accommodation, and a terrace with garden and mountain views. They also have 2 bedrooms, a seating area with sofa and individual heating. The fully-equipped kitchenette includes a mini-oven, refrigerator and toaster. A coffee maker and kitchenware are also provided. The host can prepare dinner, upon request 24 hours before arrival. A continental breakfast can be served in the chalet or club house. Les Casots de Traoucalières is 45 km from Perpignan Train Station, 35 km from Rivesaltes Airport, and there is a supermarket is 15 km away. Located in Mosset in the Languedoc-Roussillon region, Mas Lluganas offers accommodation with free WiFi. There is also a kitchenette in some of the units equipped with a microwave, a toaster, and a fridge. A continental breakfast is available daily at the property. At the bed and breakfast you will find a restaurant serving French cuisine. Mas Lluganas offers a sun terrace. There is a garden at this property and guests can go cycling nearby. Perpignan - Rivesaltes Airport is 55 km away. The Grand Hôtel is an old and elegant building, located in the heart of a Mediterranean tropical park, in front of the great Pic du Canigou, 45 kms from Perpignan. You will stay in one of the 34 comfortable rooms and suites. For sure, you will spend a refined and peaceful moment. The bathrooms are equipped with a large Italian shower or a beautiful bath. Some of the rooms and suites have a balcony. Breakfast can be served in your room at an additional charge. You could access directly to the Baths thanks to an elevator. Moreover, lots of other facilities are at your disposal: bar, restaurant, swimming pool, tennis court, car parks and a beauty salon. Guest accommodation Bouleternère Preferred hotel ! Maison Loft Atypique is located in Bouleternère and offers barbecue facilities. It offers free WiFi and a terrace. The 2-bedroom holiday home comes with a living room with a flat-screen TV, a fully equipped kitchen with a dishwasher and oven, and 2 bathrooms with bath. Cycling can be enjoyed nearby. Perpignan is 30 km from the holiday home. Perpignan - Rivesaltes Airport is 33 km away. 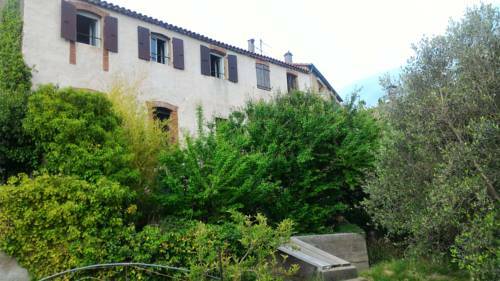 Les Buis is a historical property set at the foot of the Pyrenees Mountains, in Ile-Sur-Tet. It offers uniquely decorated rooms and suites, and has a swimming pool and a furnished courtyard. Rooms and suites at Les Buis are classically decorated featuring antique-style furnishings, chandeliers and floral patterns. They include a living area and they all have a private bathroom with free toiletries and a hairdryer. Free Wi-Fi is also available. Breakfast is served daily on the terrace or in the garden during the summer months. Restaurants serving French cuisine can be found within 200 metres. The nearest train station is 200 metres away, while the town of Perpignan is at 20 km. Within a 30-minute drive, you can also reach the Spanish borders. Parking is available near the premises upon charge. Below here is the hotels map of Felluns. Names and details of Felluns hotels can be shown on the map clicking on the prices icons.